Engage the youngest members of your assembly with easy-to-sing, easy-to-share, liturgically appropriate songs for worship. The Rise Up & Sing (Softcover Assembly Book) offers more than 330 songs specifically chosen for children. Conveniently arranged by season and topic, you'll find songs for the school year, Sacramental moments (Baptism, Reconciliation, First Eucharist), Vacation Bible School, special prayer times, Bible stories and more. Combined with large-print formatting making it easier for children to read, Dr. Jeanne C. Frolick's helpful sight-reading resource Rise Up and Read Music helps educators teach music-reading skills more effectively. The Rise Up & Sing (11-CD Set) includes vocal recordings of more than 330 songs specifically chosen for children and conveniently arranged by season and topic. This set features songs for the school year, Sacramental moments (Baptism, Reconciliation, First Eucharist), Vacation Bible School, special prayer times, Bible stories and more. The Rise Up & Sing (11-CD Set) includes instrumental recordings of more than 330 instrumental songs specifically chosen children and conveniently arranged by season and topic. This set features songs for the school year, Sacramental moments (Baptism, Reconciliation, First Eucharist), Vacation Bible School, special prayer times, Bible stories and more. The Rise Up & Sing (22-CD Set) includes full vocal and instrumental recordings of more than 330 instrumental songs specifically chosen for children and conveniently arranged by season and topic. This set features songs for the school year, Sacramental moments (Baptism, Reconciliation, First Eucharist), Vacation Bible School, special prayer times, Bible stories and more. This book is designed to provide teachers and pastoral musicians with the tools needed to give students the wonderful experience of "doing" music"—reading it, notating it and even composing it. With simplicity and surprisingly effectiveness, students will quickly learn how to read, recognize and express rhythms, sight-sing music without the need of a keyboard, know and feel at ease with the keyboard, read and write melodies and compose music that is based on an understanding of language. The Rise Up & Sing (Accompaniment Book) includes keyboard arrangements and matching guitar chords for each of the more than 330 songs. Specifically chosen for children and conveniently arranged by season and topic, you'll find songs for the school year, Sacramental moments (Baptism, Reconciliation, First Eucharist), Vacation Bible School, special prayer times, Bible stories and more. Combined with large-print formatting making it easier for children to read, Dr. Jeanne C. Frolick's helpful sight-reading resource Rise Up and Read Music helps educators teach music-reading skills more effectively. Featuring more than 330 songs specifically chosen for the young voices of children, Rise Up & Sing, Third Edition is a valuable resource for any community that serves the smallest of God's children. Extensively revised and updated to include the best new children's music, this music resource is conveniently arranged by season and topic, with songs for the school year, sacramental moments—like Baptism, Reconciliation and first Communion—Vacation Bible School, special prayer times, Bible stories and more! Plus, the large-print format makes it easy for children to read. 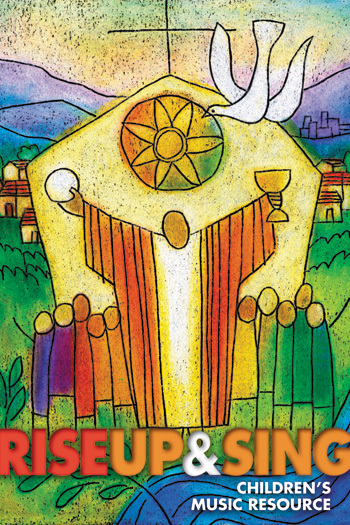 Perfect for Catholic schools, Masses with children and adults, and religious education, the Rise Up & Sing series offers an easy-to-use accompaniment book that includes keyboard arrangements and matching guitar chords for every song. A helpful sight-reading resource from Dr. Jeanne C. Frolick Rise Up and Read Music works wonders for educators teaching music-reading skills. The vocal and instrumental CD recording libraries make great teaching and accompaniment resources, with vocal tracks and instrumental-only tracks for a variety of uses. Inspire faith and encourage active participation in the children of your community today with this incredible collection of resources!